Marcus Rashford scored Manchester United’s earliest goal in the Premier League this season, thanks to Ander Herrera’s brilliant through ball. Odd how criminally underrated Ander Herrera is. So instrumental in how Manchester United launch attacks. 5 – Ander Herrera has provided more Premier League assists this season (5) than in any other campaign. Vision. The ball from Ander Herrera. The finish from Marcus Rashford. 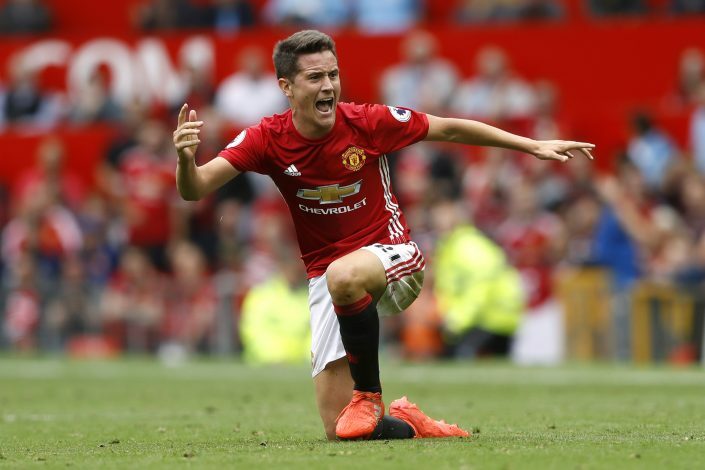 Both sides of Ander Herrera perfectly encapsulated. That's why #mufc fans love him and most others despise him. Reports from Old Trafford that Eden Hazard has opted against a half-time wee as Ander Herrera was in the cubicle waiting for him. Wow Jo Moriniho the day mach technique and the united players are lovely ,every day the manager has I steel The Special One.